A world of 9 billion people by mid-century will demand fundamental changes in our mindsets, behaviors, cultures, and overarching paradigm. Just as our species broke the Sound Barrier during the 1940s and 1950s, a new breed of innovator, entrepreneur, and investor is lining up to break the Sustainability Barrier. 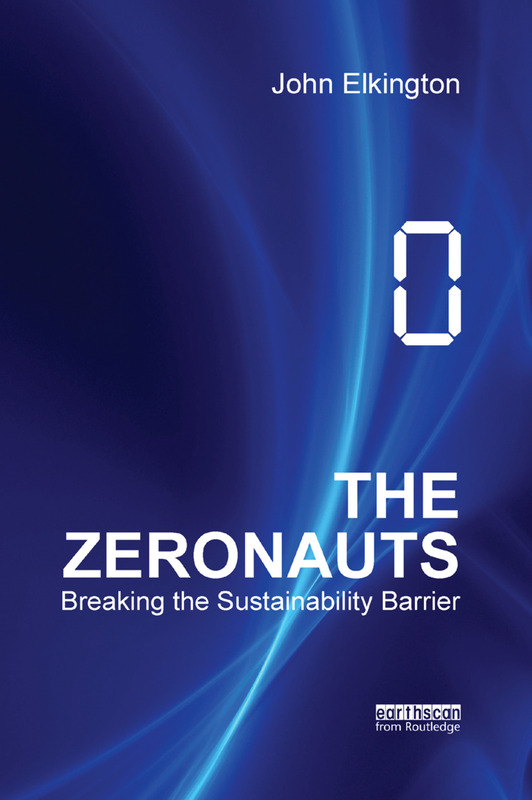 In this book, John Elkington introduces the Zeronauts – a new breed of innovator, determined to drive problems such as carbon, waste, toxics, and poverty to zero – as well as creating the first Zeronaut Roll of Honor, spotlighting 50 pioneers in the field of zero. Zeronauts are innovating in an astonishing range of areas, tackling hugely diverse economic, social, environmental, and governance challenges. To give a sense of progress to date, we zero in on five key challenges (the 5Ps): population growth, pandemics, poverty, pollution, and proliferation. The power of zero has been trumpeted, notably in relation to zero defects. This book spotlights key lessons learned in the field of total quality management – and introduces a five-stage "Pathways to Zero" model, running through from the Eureka! discovery moment to the point where a new way of doing things becomes endemic in the economy. In order to move from incremental to transformative change, we must embrace wider framings, deeper insights, higher targets, and longer time scales. This book investigates some ways in which leading Zeronauts are pushing change in relevant directions, with cases drawn from a spectrum of human activity – from water profligacy to human genital mutilation. If we learn from these pioneers, the twenty-first century could be our best yet.